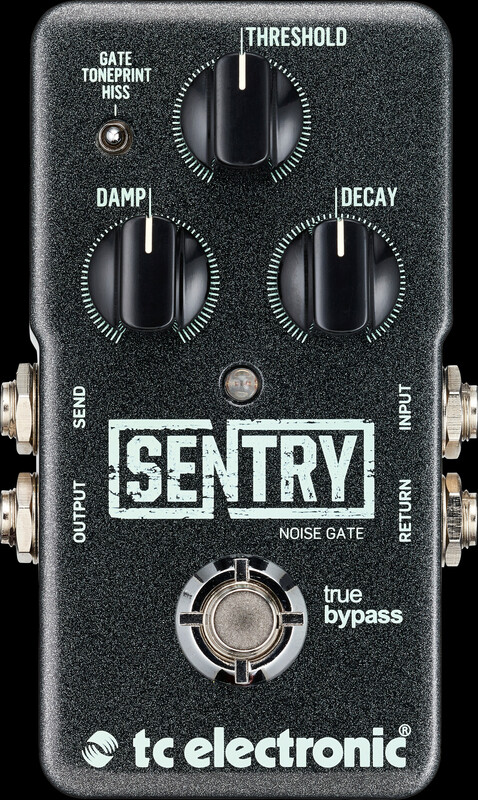 The dude in the video below, with the awesome accent, describes TC Electronic’s Sentry Noise Gate as the most advanced noise removal algorithm ever put into a pedal with the power to keep your chain signal as ‘silent as the grave.’ With Halloween just around the bend (although you wouldn’t know it since we already have Christmas decorations adorning every box store from Delaware to California) it seems like the perfect time to stop for a moment of silence…right before you kick in the swirling scream of your guitar. And that’s just what this new Tone Print tech is going to allow you to do. Check it out. This pedal allows you to do traditional hard gating as well as a more strategic gating that hones in on problem signals. 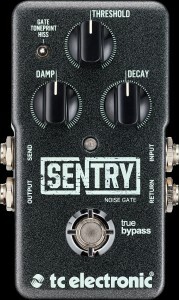 Like all Tone Print pedals, the Sentry has an interface that allows you access to the three band gate controls. 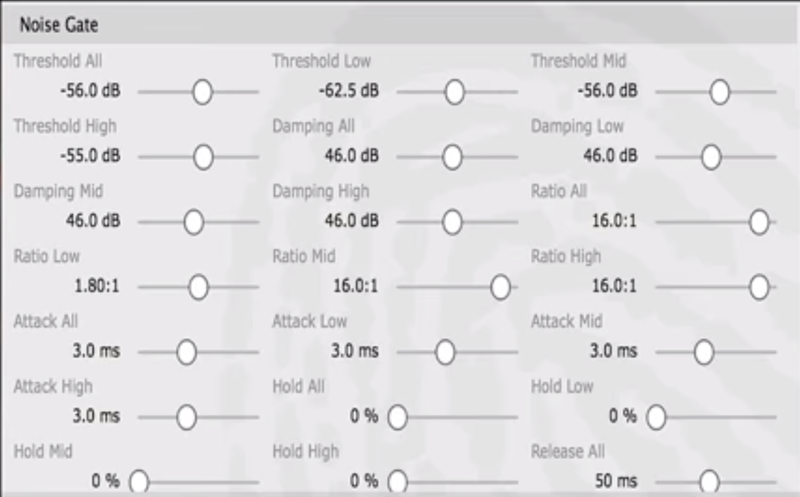 Because noise signals typically are not linear, not every frequency is effected. If you just slam the entire spectrum, you’ll be hacking away at some frequencies that are clean. I’ts like using a hammer a drive home a screw. With the three band method, you can pick and choose the frequencies you want to dampen and silence those common noises, like a 60 cycle hum. Here’s a preview of the three band controls. 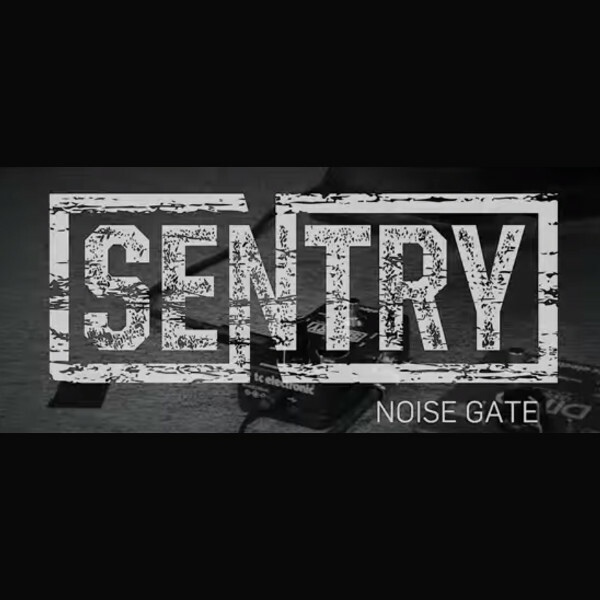 If you do decide to full-band gate your signal, the Sentry’s algorithm is setup to ease your signal into a natural decay instead of the stuttering effect felt by most cruder gates. In addition, there is a send return loop. When set up correctly, the send return loop will ensure you don’t need to turn the gate up so high that it starts to ‘eat your signal.’ Wrap it all up and throw in a monstrous database of presets from a huge array of famous guitarist and software to modify all of the above and you have pedal that transcends it’s original purpose. Noise gate seems almost too mundane to describe it. It’s more like a Grand Central Station for frequencies, routing, stopping and allowing certain signals through for an ultimately smoother, cleaner experience.